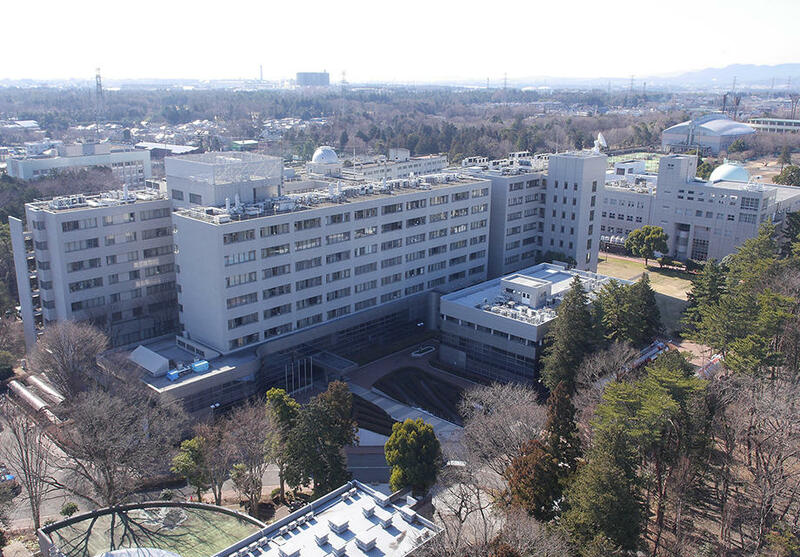 Nestled in the quiet residential area off from the Tanzawa mountains, the JAXA Sagamihara Campus presses forward studies to unveil the mysteries that space holds -- solar activity, the history of the moon, planets, black holes and galaxies. On the premises, there are main campus of the Institute of Space and Astronautical Science (ISAS), the Space Education Center, the test facilities of the Space Exploration Innovation Hub, and the Advance Science Laboratory where new spacecrft are developed and tested. What makes the Sagamihara Campus unique is that it serves to bring together academic expertise across the country. The Campus provides a crucial platform to connect individual researchers and incorporate their expertise in implementation plans. 10:00 a.m. to 5:30 p.m. daily. Cafeteria: Open only weekdays from 11:30 a.m. to 4:00 p.m.
*It serves as a coffee shop between 1:30 to 4:00 p.m. thus no food is available during those hours. Gift shop: Open only weekdays from 9:30 a.m. to 4:30 p.m. The Communication Hall of Space Science and Exploration is the ISAS Visitor Center and a facility that was established to urge various universities, research institutes, and private enterprises to participate in the Space Exploration Innovation Hub activity, which is as an industry–academia collaborative research. In addition to introducing technological developments and academic research achievements on space science, it functions as a platform wherein proactive exchange of opinions and interactions can occur. 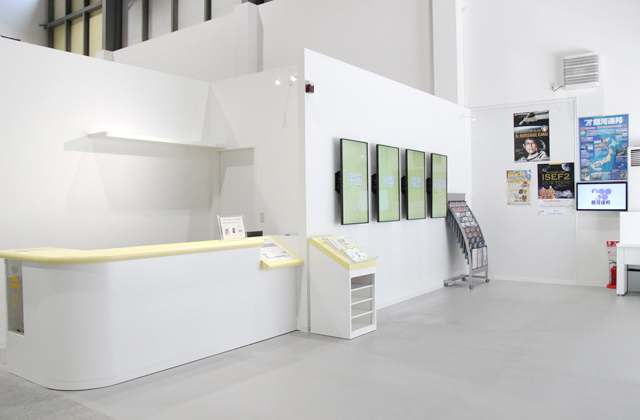 Compared with exhibition rooms that have been widely utilized, this facility is a space wherein more people can come to learn about research and development about space science and exploration. The world's largest solid propellant launch vehicle M-V Rocket (real vehicle) is displayed. 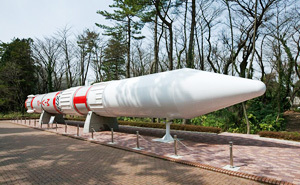 Also a life-size model of the M-3SII Rocket is exhibited next to the M-V.
Space-related books that JAXA employees possess and think will be interesting for the general public are displayed at the Exhibition Hall. Please feel free to have a look at them to gather information. For more specialized books, please look in the ISAS Library between 10:00 a.m. and 12:00 p.m. and 1:00 p.m. and 5:00 p.m. on weekdays. 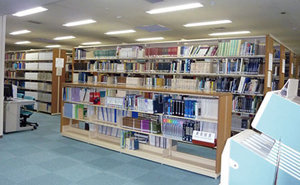 For more details about the use of the Library books, please refer to the ISAS Library page. Sagamihara Campus welcomes visitors. You can look around the Campus freely during the open hours. For a guided group tour, and a visitor's tour of some usually restricted areas, please contact the Sagamihara Campus Public Affairs Office.